Any drooling Giant Breed dog parent knows the importance of a bib! 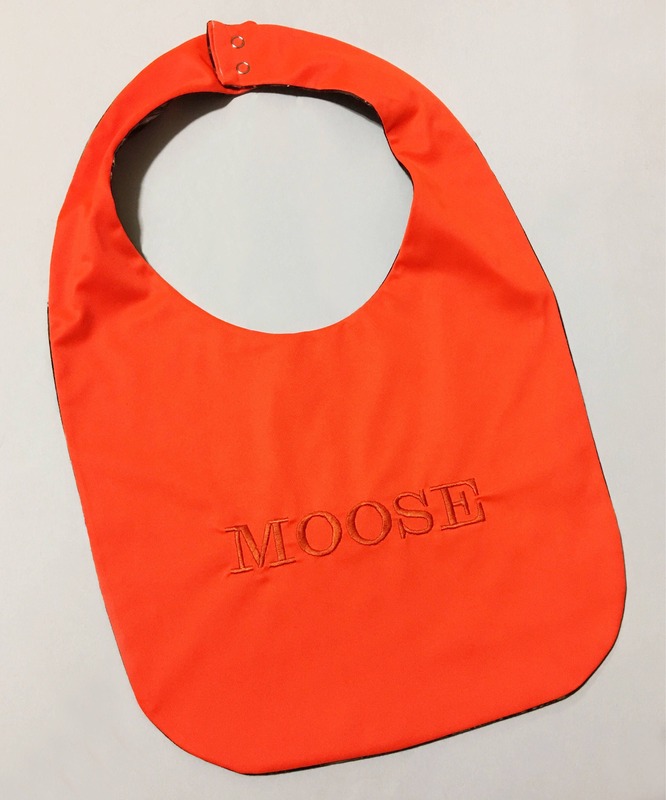 This is a handmade personalized and reversible bib for your slobbery dog. Helps keep drool and slobber away from your walls, furniture, and guests. Made with quality, carefully curated fabrics that are fashionable and striking. 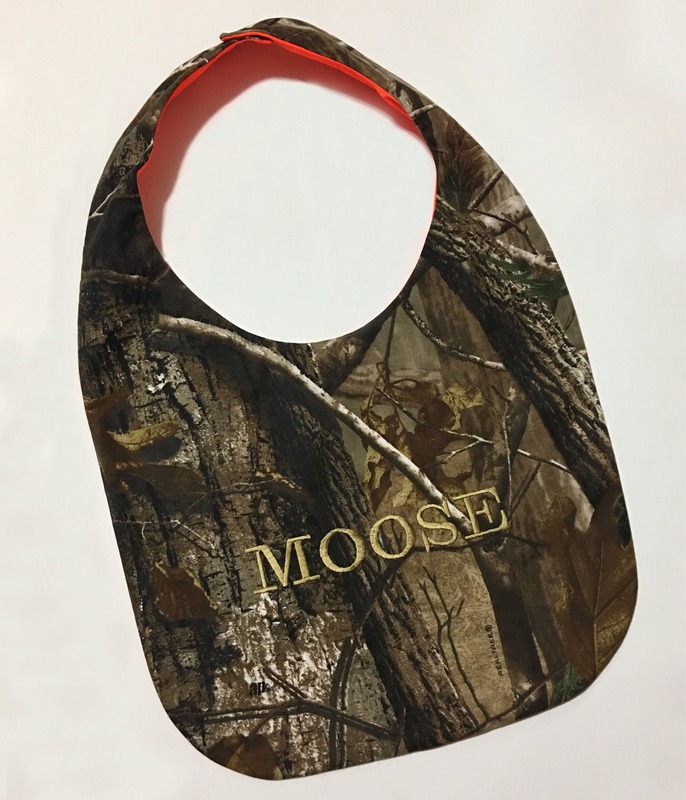 This bib is reversible--that's right! Two bibs in one! Made with a forest camo print on one side and safety orange on the other. Perfect for hunting or nature enthusiasts or for a responsible owner just wanting their pet to be more visible. It has a layer of polyester on the inside so it helps keep the mess on one side of the bib only. Snaps at the neck ensure a secure fit. This is meant for Giant Breed dogs only, but if you require a smaller size please message us for options, or consider one of our other dog bandanas! Their name (8 characters max for best quality) will be embroidered in all caps on the Camo side in a golden colored thread and in bright orange on the Safety Orange side unless you have a different preference. Just leave the name in the order comments!